Looking for a new provider? Get matched to the perfect fit and take charge of your health. Want a women’s health care provider who empowers you to make the best choices for your well-being? Get annual exams, contraception, hormone therapy, and more. Take control of your health. Looking to fill the medical care needs for your office? Keep your staff healthy and productive. Contact our staff to learn more about our Executive Health Exams. Our travel medicine program provides extensive education regarding disease prevention and good health practice to patients who travel abroad. HealthMark is a group of physicians and specialty providers dedicated to providing comprehensive and preventive medicine. HealthMark’s combination of traditional internal medicine with complementary and alternative medicine offers the best approach to achieving health, wellness, and balance for all patients. In addition to internal medicine and primary care, HealthMark offers cardiology, gynecology, physical therapy, travel medicine, and FAA flight physicals – all in one location!  All of our providers are highly trained and certified in their respective disciplines and each brings special expertise to care for their patients in a nurturing, cooperative environment where listening to the patient always comes first. At HealthMark we treat most general medical conditions. From common colds, to sprains and strains, to diabetes. Our goal is to get you back to a state of good health through comprehensive and preventative care. Chiropractic champions the idea of a holistic approach to health and illness, recognizing the body’s inherent ability to heal itself during times of physical injury or mental and environmental stress. At HealthMark we offer integrative gynecology services, which means gynecology with a view toward the whole patient and the root causes of disease. The goal is to address problems in the most natural and noninvasive way first. Our travel medicine program provides extensive education regarding disease prevention and good health practice to patients who travel abroad. Our physicians will provide an itinerary-based medical plan, including immunizations and prescriptions. Or a gradual onset of symptoms, such as low back pain from degenerative changes, etc….  Since both HealthMark and OnPoint Urgent Care are part of the OnPoint Medical Group, your medical records will be available for use at any OnPoint Urgent Care location. Any specific medical notes your primary care physician has provided will also be available in our system, allowing for more precise evaluations during your Urgent Care visit.